Steven Plitt is one of Arizona’s premier insurance coverage lawyers. Although he has provided coverage advice in 40 states, he currently manages a robust insurance coverage practice. His practice involves the handling of complex, high exposure insurance coverage and bad faith cases. Unlike most coverage lawyers who are only litigators, Mr. Plitt has first chair jury experience having tried to jury verdict cases in both state and federal court. As a trial lawyer, Mr. Plitt has extensive litigation experience and has managed a large litigation practice throughout his professional career. He has been inducted as a Fellow into the American College of Coverage and Extra-Contractual Counsel and The American Law Institute where he serves as a consulting member on the ALI’s development of the Restatement of the Law of Liability Insurance Law. Mr. Plitt is listed in the Best Lawyers in America for insurance coverage (12+ years). In 2012 and 2017, he was selected as the Insurance Lawyer of the Year – Phoenix by Best Lawyers. 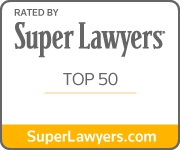 Mr. Plitt has been selected every year (12+ years) as one of the top 50 lawyers in Arizona by Southwest Super Lawyers. Only a handful of lawyers have continuously made the list for each year it has been published. AZ Business Magazine lists Mr. Plitt within the top 100 lawyers in Arizona. Mr. Plitt has a national reputation as an insurance law scholar and commentator. As an Adjunct Professor, he has taught the Insurance Law curriculum at Arizona State University College of Law and is currently teaching insurance law at the University of Arizona College of Law. He is the current successor author of the nationally recognized and authoritative insurance coverage treatise Couch on Insurance 3d. He has also authored other national treatises on insurance law. Regarding Arizona law, his is the author of the treatise Arizona Liability Insurance Law and the senior contributing editor to the Arizona Tort Law Handbook. Mr. Plitt has authored more than 370+ law reviews and other professional legal publications involving insurance law issues. His scholarly writings have been cited by the Supreme Courts in 32 states, the Intermediate Appellate Courts in 22 states, 10 of the Federal Circuit Courts of Appeals, 38 Federal District Courts, the Federal Court of Claims and the Federal Bankruptcy Court. His writings have been cited in more than 91 scholarly articles on insurance law issues. These numbers are constantly out of date as more courts throughout the United States rely upon Mr. Plitt’s thought leadership on common and cutting edge insurance coverage issues. 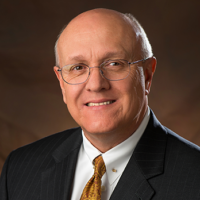 Mr. Plitt has been an expert consultant and witness for both insurance companies and insureds. He has reviewed and analyzed thousands of claim files in his practice career from more than a 100 different insurance companies. He has been an expert consultant in hundreds of matters throughout the United States. He is a nationally recognized expert in the area of insurance claim handling practices, insurance company compliance with the covenant of good faith and fair dealing, as well as industry standard, custom and practice. He has been a licensed insurance broker (Arizona) since 1974. He also consults as an expert in insurance agent E&O claims. Mr. Plitt’s practice includes the handling of professional liability, wrongful death and catastrophic injury cases.